Daniel offers shamanic healing therapies that can help to heal the physical body and that can bring balance and peace to one's life. These therapies help individuals to reconnect with themselves and to improve the way they interract with everything and everyone in their life. Daniel has been practicing shamanic healing for a couple of years. He has been training in Cork with his teacher Rajinder Singh. Daniel has been working in IT as a software engineer for the past 15 years. He has started to walk the shamanic path 5 years ago when he had his first shamanic trip to Peru. Ever since that trip Daniel has been more and more drawn to the shamanic ways and decided, to follow this new path and started his shamanic training in Cork. His healing path has brought him closer to himself, helping him to heal from depression, anxiety and anger and also from constant fatigue which he had been struggling with for many years. He also feels that his shamanic healing journey has helped him become a better man, a happier individual who can now appreciate life and can now have again dreams about his future. 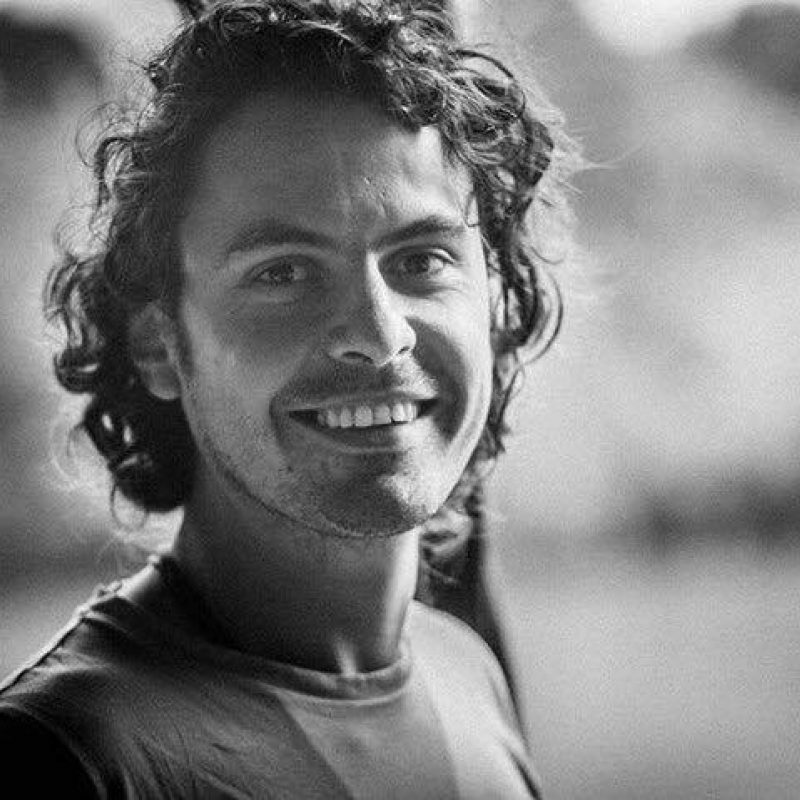 Daniel's healing journey has inspired him to help others heal, become happier, and to be more close to their true nature. Please contact Daniel on 07490 397437 if interested to book therapy sessions with him at Maitri Studio. Throughout our lives we have all been through stressful situations. Some of these situations have left a mark on us. These marks can influence our day to day life and can be found in the reactions that we have in different situations. During our childhood we have all been taught by parents, grandparents and our loved ones or by the ones responsible to take care of us. We have learned or even started to copy some of their behaviours and reactions sometimes without even knowing. We use all these behaviours, most of them deeply rooted in our subconscious, during situations that happen in our day to day life, weather they serve us or not. The private healing sessions are meant to identify these stressful situations that have left a mark on us and the behaviours that we have gathered throughout our lives that make us react to situations instead of acting to them and to identify the energies associated with them in the body. Once these energies are identified we work to gently extract them from the body. Often, during a private healing session, we work to gently extract other types of energies that we identify as being present in the body. These energies do not belong naturally in the body. Shamans believe that, once these energies mentioned above, energies that do not belong naturally in the body, start to be removed from our body, the body’s natural ability to heal, regenerate and rejuvenate begins to increase considerably. It is important to understand that we are all different, or better said unique. That being said, a situation that causes an energetic imprint for one person can sometimes cause no energetic imprint for another person. From this we can conclude that, even situations considered normal to most of us can cause energetic imprints. During a private healing session we also work to detach you from these energetic imprints caused by stressful situations or deeply rooted behaviours or other forms of energy so that, in the future, your life and your body will not be influenced or informed by them anymore. We work with people that suffer with additions, people that suffer from anxiety, depression, chronic fatigue, chronic pain, unexplained fears (fear of water, fear of fire), PTSD, hormonal imbalances and many other forms of imbalances in the physical and emotional body. We also work with people that feel like they do not belong, like they do not have a place in this world, that feel like they are not themselves or feel like they do not have a purpose, people that can not love or can not feel anymore. A private shamanic healing session is a one to one session that typically lasts about an hour and a half. The session addresses, in most cases, only one issue. The shamanic practitioner first engages with the client in a friendly chat, talking about what it is that the client is being troubled by. After that the healing session can begin. The client is asked to lay on a massage bed, being fully clothed and covered with blankets for the whole duration of the session. The client is asked to close their eyes during the session in order not to be distracted. Inka shamans work with stones, so most of the time there will be stones placed on the clients body during a private healing session. During the session the shamanic practitioner touches the head of the client for a couple of times and at the end of the session he touches once both clients feet, just above the client’s ankles. Shamanism works at a very deep energetic level. Most of the clients experience a deep physical release during the healing session and also say that they feel lighter in their bodies after a healing session. Other clients might experience drowsiness and fatigue after a healing session. This is normal and there is nothing to worry about. Fatigue and drowsiness are signs that the physical body is catching up with the energetic body, with the changes in the energetic body that happened during the session. Sometimes clients fall asleep during the sessions. Even so, the work that we do during the session has very powerful effects, sometimes even more powerful than when not falling asleep. Most clients find the private healing sessions to be very relaxing. Sometimes though, during the session, a client can experience strong emotions, sometimes even overwhelming emotions. It is very important to understand that during the whole healing session you will be in a safe environment, an environment where you are free to express your emotions, feelings and thoughts. Also it is very important to understand that you will be supported and guided throughout the session. In case the emotions that you are experiencing become too overwhelming we can take a break in order to let the body rest and the mind calm. You will also be supported after the session, either online or by phone. The price of a session is £60. For students and those who are unemployed or on benefits we are offering a concession, the price for them is £40. Documentary proof (no older than 3 months) must be provided on request.